Folding travelers reps rail. 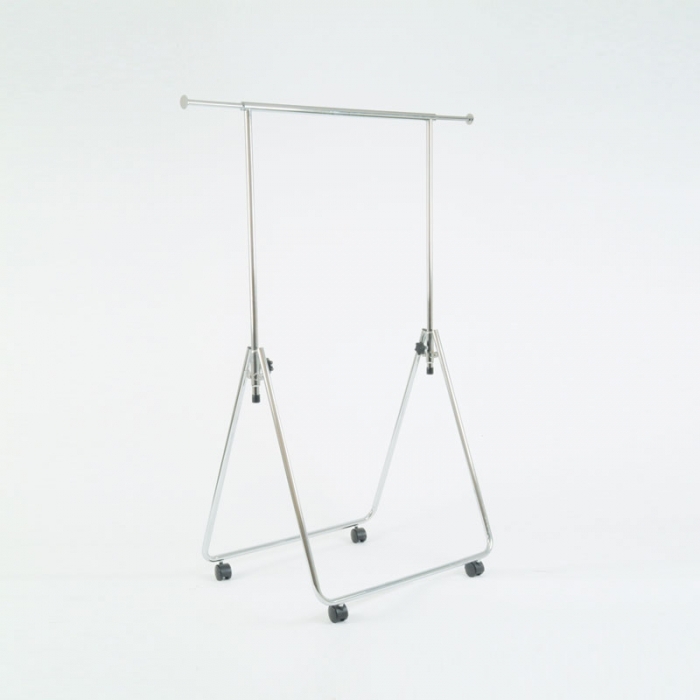 This compact mobile clothes rail is ideal for portable use. For those looking for a clothes rail to be assembled and put away in a quick amount of time this is the right fully folding rail for you! Top rail extends from 825mm width to 1430mm width. Folds flat to a 830mm x 890mm x 130mm size. Chrome plated.